I recently took this for a long weekend to Havasu Falls and it worked great. I used it to boil water, simmer foil-pack chicken and pasta, and even roast a marshmallow or two. * It's difficult to adjust the flame to a simmer setting. There's only about 1/2 a turn of the control knob between near-full blast and off. * When packed the parts inside the pot rattle around. You'll have to pack other stuff in the pot to avoid clunking noises on the trail. * The pot support can snag on the pot and lift off the stove. I’m sure this is intentional so you don’t pick up the entire stove by accident, but it would be nice if the support fit the stove more securely and did not snag on the flux ring on the pot. Overall, this is a great stove that works as advertised. The few complaints I have are pretty easy to work around and would not discourage me from recommending this stove. If you’re cooking for a group or want to get more creative than freeze-dried meals, the Jetboil GCS is the best bet, but beware its lack of performance in the wind. Combined with a PCS pot (aka Jetboil Companion Cup, available separately) the GCS can provide flexibility for a variety of trips. In the beginning there was the humble campfire. Today the cutting edge of backcountry cooking technology is the integrated canister stove: cooking systems that mate a compressed-fuel burner with a specially designed pot and high-efficiency heat exchanger. These stoves promise faster boil times, increased fuel efficiency, and greater convenience than their forebears. 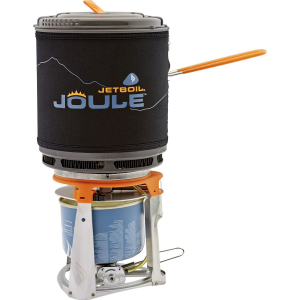 The Jetboil Group Cooking System (GCS) uses the same burner as the PCS, but pairs it with a pot support and a larger, more conventionally-shaped 1.5-liter pot. In addition to the identical (and interchangeable) burner, the GCS borrows a number of design features from its smaller sibling, including an insulating neoprene pot cozy and the FluxRing heat exchanger. The Jetboil PCS and the MSR Reactor feature deep, narrow pots that are designed primarily for boiling water quickly and efficiently. That’s great if your backcountry diet consists mainly of dehydrated meal packets, but if you’re interested in creating culinary delights, these stoves are probably not for you. The Jetboil GCS is more oriented toward actual cooking, while retaining boil times similar to the PCS. The Jetboil stoves didn’t live up to the speedy performance that their name implies. The GCS averaged 6:51 per liter boiled and the PCS averaged 6:44 per liter boiled (3:22 for its half-liter capacity), achieving low times of 6:20 and 6:37 per liter on a full canister, respectively. About the tests: All of our tests were performed using 69° F air and water temperatures. The stoves were fueled with an 80/20 Isobutane/Propane mix from 220-gram canisters and operated at maximum output. The Jetboil stoves were designed with efficiency foremost in mind. They feature burners that sip fuel at a decidedly slower rate than most canister stoves. Instead of blasting the pot with as much thermal energy as possible – and losing much of it up the sides – the Jetboil burner is calibrated so that the heat exchanger captures the stove’s energy before it escapes up the sides of the pot. This design makes the Jetboil stoves very fuel-efficient: in our tests the PCS and GCS averaged 10 grams and 9 grams of fuel, respectively, per liter boiled. That translates to 22 and 24 liters per 220-gram canister. The trade-off for this level of efficiency is in boil times (see above). Because of their efficient use of energy, all three stoves put off very little residual heat. No worries about singeing your hands while stirring these pots. Most stove tests are conducted under controlled laboratory conditions – conditions you’ll probably never replicate in the backcountry. But even a small breeze can have a big impact on a stove’s performance, sapping heat away from the pot and into the passing air, so we also conducted tests in an 8 mph wind. All three stoves’ heat exchangers help to shelter their burners from the wind, giving them a distinct advantage over traditional canister stove designs. But the Reactor is the only design that completely encloses the burner. In an 8 mph wind the Reactor boiled a liter of water in 3:16, just several seconds longer (and using no more fuel) than in calm conditions. The Jetboil PCS didn’t fair as well, taking a full minute longer (4:22 vs. 3:22) to boil its smaller half-liter cup. The Jetboil GCS performed poorly in the wind, needing 18:26 to boil a liter, and burning more than twice as much fuel to do so as in calm conditions. Thanks to their built-in piezo lighters, both Jetboil stoves are easy to light under windy conditions, while firing up the Reactor requires keeping a match or lighter going in the wind. This negates some of the Reactor’s advantage in the wind, but MSR plans on adding a piezo to future versions. Also in the real world, how you adjust your stove can have a big impact on efficiency and boil times. While we weren’t able to test every stove at every conceivable output level, the Reactor boiled a liter of water in 4:04 using just 10 grams of fuel at a medium setting. At 15.3 ounces, the Jetboil PCS is the smallest and lightest integrated canister stove, but the tradeoff is that it has less than half the capacity of the Reactor and the Jetboil GCS. That’s okay if you’re traveling solo, but not so convenient when cooking for a crowd of hungry backpackers. For an additional 4.3 ounces (Jetboil GCS) or 4.6 ounces (MSR Reactor) you get a pot with nearly double the capacity. The Reactor is the heaviest stove of the three, due mostly to its beefy heat exchanger, but requires less pack space than the GCS. When sharing the load with a partner, carrying a GCS or Reactor is lighter than bringing an additional pot for the PCS. The Reactor and the Jetboil PCS are both designed so that their burners and fuel canisters (220 g canister in the Reactor, 100 g in the PCS) fit snugly inside their pots. The Jetboil GCS’s components also pack inside its pot, but the fit is loose, which can leave the pot support rattling annoyingly in your pack. 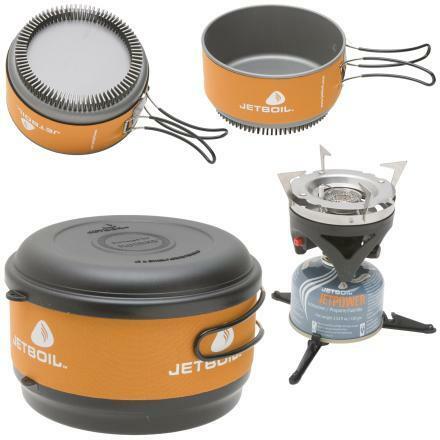 The Jetboil GCS’s pot support allows you to use the Jetboil burner with almost any cookware, including frying pans and larger pots, although you’ll lose the advantage of the heat exchanger. Since the PCS and GCS use the same burner it’s also possible to mix-and-match Jetboil components for different trips, using the PCS pot for fast-and-light summit attempt or carrying the whole kit along for family backpacking. The GCS’s more conventionally sized pot makes it a better candidate for culinary tasks that require more than boiling water. The GCS pot has measurements stamped (legibly!) into the pot at the 0.5-, 1.0-, and 1.5-liter marks – which can simplify boiling and cooking tasks and eliminate the need for measuring via a water bottle. 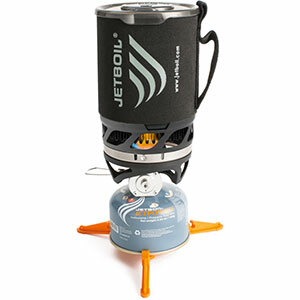 And the Jetboil’s lower-output burner makes simmering with the GCS a better proposition than with many canister stoves. Like most canister stoves, a small knob built into the body of the stove regulates output of the Jetboil GCS and PCS. The plastic knob stays cool to the touch, but its recessed location can make it awkward to adjust, especially with gloves on. Since the Reactor is very quiet and the pot completely encases the burner, you have to lift the pot off the burner to tell if it’s still lit; several times I extinguished the burner while attempting to simmer. The GCS requires special care when removing the pot. If you try to slide the pot off the stove rather than lifting straight up, the heat exchanger can catch on the pot support and dislodge it or upset the entire stove. The MSR Reactor, the Jetboil PCS, and the Jetboil GCS are all solid performers and each has something unique to offer. Which stove is the best will depend on your specific needs. Review originally published as part of Integrated Canister Stove Showdown. This backpacking stove is so-so. The igniter never has worked on mine. The flame is adequate but unimpressive. 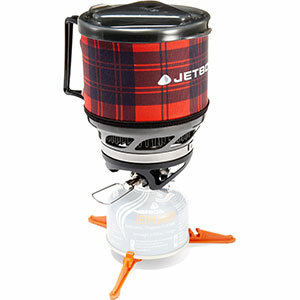 A friend has the Jetboil Personal Cooking System, which sounds like a nuclear explosion when it ignites. Mine sounds like a whimper. e-OMC won't replace my Jetboil because it's after the year warranty. Jetboil has not responded to my concerns. I'm not sure if I got a defective model or if Jetboil is an inferior product. Pretty convenient, but not without flaws. I have the Jetboil Personal Cooking System (PCS) and the Group Cooking System. They're essentially the same thing -- a PCS becomes a GCS with the addition of 1) stabilizing legs that fit under the canister; 2) a pot stabilizing device that fits on the burner; and 3) a 1.5 liter pot instead of that big mug. 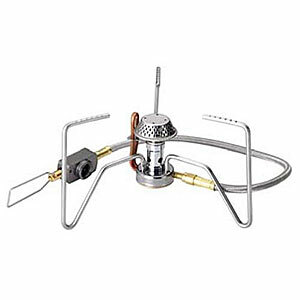 Hard to beat the conveniences of the system -- quick to set up, quick to boil, packs down conveniently, not too heavy, easy to adjust the flame, integrated igniter. However -- and this is why I give it 3.5 stars -- while I have used it successfully in warm and cool-ish weather, when I used it on a cold Columbus Day weekend in the Adirondacks, it was difficult to get started; I was worried I might not be able to get it going. This is always a problem with canister stoves, I realize, but this wasn't winter camping, it was colder-than-usual fall camping, so I was a bit disappointed. 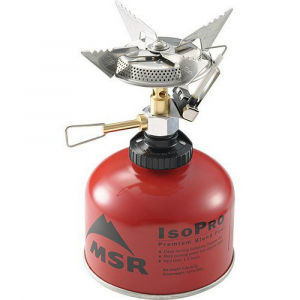 I won't give up on this system, but in the future, I will probably feel compelled to carry a back-up stove that can invert the canister (MSR Windpro or Snowpeak Gigapower or similar). The Group Cooking System (GCS) has been discontinued. It was replaced by the Jetboil Joule Group Cooking System. The Jetboil Group Cooking System (GCS) is not available from the stores we monitor. It was last seen March 28, 2016	at Tahoe Mountain Sports.